Work for Amazon Relational Database Service (RDS)? Learning about Amazon Relational Database Service (RDS)? "The database(s) you know without the management hassle"
Whatever your database of choice, you'll find that RDS will make the hosting and management pain disappear. Out of the box you get a managed platform where all you need to think about is how much storage you'll need and the performance you want. Amazon take care of maintaining the system, keeping it up to date by installing updates, providing multi-AZ redundancy and increased protection against downtime doe to more care being taken when taking down an instance in the cluster. If you like the databases RDS have to offer, there's not much to dislike - it's the same software with less hassle. Setting up databases, tables and users is no easier than a self hosted solution. As a cloud service you would expect the service to be essentially limitless like most other AWS services, but the fact it's running on an EC2 VM leaks through in the restrictions on database sizes, storage, memory etc. If you're targeting AWS, and you're planning to use a relational database, RDS is an excellent choice instead of trying to build your own. Amazon seem to offer stronger protections against restarting RDS instances than you would normally get when deploying your own instances running PostgreSQL etc. We're using an RDS PostgreSQL to store near real time time series data. It is probably the wrong tool for the job, but the ease of use of RDS meant that it wasn't a bad choice for us. "Amazing ease and flexibility in a relational database set up." Big positive points is the flexibility to use either proprietary or open source db variants. I have production with MySQL currently but have also implemented Postgres databases with RDS and certainly was a breeze. The MySQL setups I use are both from a self managed ETL process and as a total replicate of another live service constantly sending new checkout/customer data into the system. A bit cumbersome to deal with maintenance windows and updates unless you use Aurora which is fully managed and much faster. Not easy to switch from current set up to aurora. I cannot think of any other pain points that really stick out for simple implementation needs. Just give it a shot its a great managed system that you would be crazy to not at least try for any small to medium complexity implementation. Especially if you need to move fast. "RDS - Scalable databases without any of the configuration overhead." Being able to scale the size, RAM, and CPU capacity of the database with just a click. It saves us a lot on hardware costs, and lets us prototype and test database-intense features on a pay-as-you-go basis which is great. Limited replication options. Only slave databases are supported out of the box, a master-master configuration requires (at least at the time I tried to do it) custom configuration. However, Amazon does provide some config snippets for you to use in cases like that. Just do it, it makes life easier and you'll never have to think about databases in your application, at least in the early stages. Problems - high availability of customer data, basically. Benefits? I never have to touch a database server again. Saves me loads of time patching server OS's, managing memory, etc. There is free tier usage, you can select from decent amount of DB for your proyect, the most known and useful, such as SQL Server, Oracle, MySql, MariaDB etc. Also they are very customizable, you can create instances on your own needs, you can select the resources for you applications or services, like hard disk, memory ram, iops, even the region where it is allocated to get better ping, very easy to use, easy to connect with another databases, is perfect for scalable projects. If you don't be careful of free tier usage, you'll get some surprises billing on your credit card. If you are novice with RDS, maybe can be a bit hard to understand all the features it offers, but there are many guides which can help you. Use free level use, for proof, before use the paid version, but keep in mind that the free level may have some restrictions which the paid version don't. You will not regret if you pay for this service, there is everything you need and more. I am web, software, and app developer, right now i am current user of aws, for many projects, i use others instance like ec2, neptune, s3, etc. RDS have helped me a lot, when i need use external relational data base, to make apis, or anyother scalable project as gameservers. it make so easy the way to send and get data. I like the ease to manage different database software in an environment which is the same for any database engine. RDS also allows you to back up, restore and clone instances effortlessly. This has saved me much time and effort over the years. Additionally you can create and test difference database warehouse technology without having to know much about the installation and configuration of the same. Which is a huge plus if you are not a trained DBA for each different database technology. When RDS started to use EC2 Security Groups instead of the RDS security groups it originally used to manage access, this was further complicated when VPC became a requirement for EC2 Security Groups. It also can be more expensive for startups because you have a dedicated instance for your database, and it isn't running on our application server. But depending on the size of the instance you might be eligible for a free tier of usage for the first year. Running startup businesses without a dedicated DBA is possible because RDS removes the need for much administration and setup. "AWS/RDS Makes the hard stuff easier (and some of the easy stuff harder)"
RDS has a number of features which turn what would have been a time consuming project into a single button click. The one that won me over and made me a believer was setting up a read-replica of our production database. My experience in the past had always been that setting up replication was a pain, first there was the specing and provisioning of a new server, installing the software, matching the configurations, turning on replication, testing the latency, etc. Setting up a read replica on RDS (MySQL) was so simple it lead to immediate doubts: "That must not be working correctly, that was too easy". A few quick tests revealed that my read replica was indeed up and running. I'd guess the total time required was under 30 minutes. Amazing. 1. The fact that a number of database level settings, which you would normally set via a SQL command, must be set via the RDS console. Not really a big deal once you realize this, but initially it can be confusing as the SQL command to change the setting will run successfully, but when you check it, it will be unchanged. Easier than you might imagine. "Amazon RDS painless MySQL in the cloud"
Simple replication of entire service and data for testing and development cycles. Data Replication (secondary servers -- read only replicant) are simple to set up and take down compared to doing this with home grown solutions. Had serious issue with ODBC and AWS tech support didn't find or fix it - had to dig deep into JVM threading model to get the problem to go away. Was not their problem nonetheless it manifest only on their platform and it would have been nice if the business class of tech support had actually been able to help solve this instead of constantly pointing in the wrong direction. Make sure you TEST, TEST and TEST some more before committing to the product to ensure you have it working in a production grade capacity. Once there however you're pretty much golden. If you need tech support expect to be on your own as even the paid levels of support do not seem to have a depth of knowledge for serious technical issues. Moving self hosted database into DBaaS and found the pricing and performance to be better than what we needed. In short I simply no longer need to worry about most of the database "management" things I had to do -- now everything is just a few clicks away including complete replication of the service and data for painless test and development cycles..
"Amazon RDS - Database Management Made Easy"
We setup RDS for a few applications that required a cloud-centric deployment, and within a few button clicks, we had a fully functional RDS database setup complete with replication, ability to scale horizontally, and compatbility with database frameworks such as PostgreSQL and MySQL....Replication made easy, without complicated scripts or manually setting up DIY replication....Since the underlying infrastructure is managed by AWS, system upgrades happen transparently to us, and allow us to focus on providing highly-perormant applications to end-users. Also, backups are automated and get shipped to S3, which allow for quick restoration of data in the event of some corruption....you are able to setup retention policies to ensure your data backups meets your guidelines. I highly recommend RDS if replication and automated backups are your concerns....as an open-source shop, the price sometimes is seen as a detraction for RDS adoption, compared to the free solutions, but the ease-of-use cannot be beat, and being able to enable monitoring and reporting for statuses is a HUGE benefit! "Reliable managed relational database product"
Managed Database Service that behaves well most of the time. Rarely acts up and is very visible to our team when it does with very clear and apparent errors and resolution. Very helpful and knowledgeable paid support staff that replies in a reasonable timeframe when we need to make any specific inquiries. The AWS Console Redesign was and continues to be rough; feels like features were lost and specifically enhanced monitoring performs much worse than before, and in heavier workloads is entirely non-functional. Feels like it was not well tested and gave me a bad opinion of the current wave of console redesigns. We infrequently instances fail over due to "rare" hardware failures and have to submit a support ticket to confirm these occurrences. It would be nice if the service itself communicated these events with this level of detail so that we don't have to inquire with support staff. Managed MySQL allows us to spend less time on DBA tasks, makes things like automated backup and minor version upgrade simple. "Amazon RDS - a great DB solution for the forward-thinking developer"
I love that I can spin up/down instances in seconds. I don't have to go through a bunch of red tape to allocating servers, etc. I can (as a non DBA) spin up a database for my front-end, and have it up and running within minutes! I dislike some of the [lack of] documentation. Specifically, I was looking to call an Amazon Lambda from a Stored Procedure in Aurora, (which is really cool that they built cross-functionality like that, by the way! ), and come to find out, it's not able to for that specific version of Aurora, but it is for the other version of Aurora. The unfortunate part: Amazon's wiki for setting up Stored Procedure to call Lambda didn't say that anywhere. Once I found out that it works only on a specific version, then it's golden! With RDS, I'd recommend that you get comfortable with Amazon IAM Roles/Policies. Understanding how they work will be extremely helpful in setting up an RDS intance without too much pain. I'm using it to be the data layer for a back-end app that I'm developing. I needed a Relational Database, and this does it beautifully! "Amazon RDS one of the best!" Scalable capacity without any downtime is one of the best feature of the server. Also, the server running the DB is different than your web server, so the hassle of upgrading AWS RDS affecting your web server doesn't exist. It gives you the choice to decide what type of DB you need. I didn’t have to worry about most of the database "management" things as. Its was just few clicks away including complete replication of the service and data for painless test and development cycles. Amazon RDS has quite a number of relational databases services such as Oracle, SQL, MySql, etc. which covers almost all the needs of an organization without installing and configuring a database on the physical machines. It saves a lot of cost associated with setting up of relational databases and hence, increases the margins for small scale corporations. As such there isn't anything in particular which I dislike, but I do have few suggestions such as more databases support can be included apart from the one which are already covered. We have had many problems in our current projects in which we were using Oracle relational database. Due to hug amount of data, a lot of physical servers were installed in order to make sure latency should be low and data can be saved or retrieved efficiently. When I started programming back in 2003, I never thought future will be that easy. We had some large projects with huge databases. Working with those were really difficult due to size of the database. Size wasn't the only problem here, we didn't knew how much storage we needed for those database. Databases kept growing and we began to encounter performance issues. Well than we thought about alternative and Amazon RDS was top on our list. It was super east to transfer our existing database there and manage all data. API, CLI support, SDK you name it and Amazon has this for you. It is secure, it is fast and most importantly very easy to maintain. Now we don't have to think about database size anymore. It's expending along with our business. Their billing system still confuses us, sometimes we predict something and bill comes different. Yes they do has usage or billing graph but it still confusing. If performance matters, it should give this a try. We are using Amazon RDS for Relational Database Service (RDS). Mentionable benefits will be their secure API and scalable database size. We don't have to think about database size as it is growing. "Simple & reliable Database Management (on the cloud)"
Scalability capacity without any downtime is hands-down the best feature. Also, the server running the DB is different than your web server, so the hassle of upgrading AWS RDS affecting your web server doesn't exist. Easy set-up and gives you the best DBaaS platform at a low cost. It also gives you the ability to create replicas in an entirely different region, which is pretty cool for setting up a HA environment and traffic shaping. It also gives you the choice to decide what type of DB you need. Since it is running on an EC2 VM leaks through in the restrictions on database sizes, storage, memory etc. A pro of this product which can be considered as a con is sometimes the robust security makes things complicated. In order to create a set of "structured" security group rules, our security groups especially RDS SGs are very complicated. Scalability capacity without any downtime is hands-down the best feature. Supports a wide range of DB's - PostgreSQL, MySQL, MSSQL, etc. We integrate RDS with MySql database for data storage of our web applications. As on Ops team, AWS RDS allows us to deploy stable databases for our consumers without having to worry about maintenance and manual backups. Data storage and it's accessibility from multiple locations is fairly easy. "Review about Amazon RDS instance"
The ease of use for RDS instance and high availability are the two most important feature i really liked about RDS instance. Definitely go for this one with affordable prices and its really helpful for high availability related concerns. I use RDS instance with MySql database for storing data for in house developed web application and use maintain some analytics related information too in the schema created on Mysql. Our requirement for that data is to be avaialble 24 * 7 so we chose RDS instance. "Amazone RDS - Keep your database on the cloud"
The best think I like in Amazone RDS is it easy to scale the capacity without a reboot or downtime. So, it makes easy to power up your server when the number of concurrency user of your website increased. Moreover, the server running Amazone RDS is separate with your web server, so you don't worry about if the upgrade AWS RDS is affected to your web server. Automatic backup, this is another excellent feature of Amazone RDS. It easy to setup & very useful for any web service. Amazone RDS also integrate with Amazone CloudWatch, which help you to monitor your database, performance, throughput, etc. Amazone RDS is enough with almost of your requirements. But in some case, as my company, they want to backup the database in Amazone RDS into my company private storage. So, Amazone RDS Auto backup doesn't help anything for us in this case. Amazone RDS is a good choice if you want to build a flexible web service, in the cloud. "Easy to setup, maintain, and monitor"
Amazon RDS gives you the best DBaaS platform by its ease of setup and low cost. Never install another DB on a server again! Automatic snapshots, patching, scalability, and more. Some RDS engines do not offer full featured functionality (MS SQL & Oracle). Both have limitations and missing some rich tools that usually come with the platform. However, AWS releases new features very often so check the documentation regularly. If you are considering RDS, take a look at Aurora. It is a fully open source compatible database engine built by AWS for the cloud. Aurora support for serverless architecture will be available in the near future, further reducing cost and embracing "pay as you use" metered cost model. Reducing the maintenance and management of our database platforms to focus on delivering more business value and application features. DBA management has moved from doing repetitive tasks to proactively tuning application queries and greater collaboration with development during logical modeling. "Amazon RDS - Databases Without Hassle"
Amazon RDS makes database deployment a breeze by giving you turnkey enterprise quality relational databases in the cloud. Pretty much all you need to do is feed it data. AWS take care of point in time snapshots and minor version updates automatically and by default. You are also able to create read replicas not only in a different zone but in an entirely different region! AWS also give you the chance to use AWS Aurora as the DB engine which claims it can offer up to 10 times speed of MySQL Enterprise. It is hard to fine something I dislike about RDS as it just works. A couple of points Vs hosting your own DB is that you can loose some turning and customization (though AWS RDS allows you to push your own config) and of course price, the pricing can get a little steep as you add more power to your setup, though is is typical of most AWS products. Make sure you can budget enough for growth as the price increase is rather sharp as the requirements of the db grow. AWS RDS allows me to quickly deploy stable databases for clients without having to worry about maintenance, fail over or manual backup. This makes my job much easier and gives clients once less thing to worry about. "Very happy with AWS RDS. Used as data layer in large global web solution." Amazon RDS is very flexible - you can change the capacity without a reboot or downtime. Excellent monitoring tools available, integrations are generally well handled (datadog, logentries, newrelic, etc.). Resilience is great, and even without monitoring tools the AWS console monitoring often provides enough information to diagnose issues or potential issues. Cost is good, for what you get. Ease of install is also good, and the range of engines is wide enough to fit almost anyone's needs. 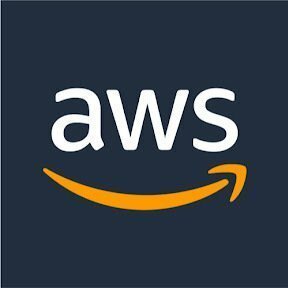 In terms of security and recovery I have found it is very powerful but you do need to know what you are doing to configure everything correctly, and I would recommend anyone who uses AWS RDS instances to be sure they have a failure plan and run it in test to be sure there isn't any issues with the plan when run in production. There is very little I do not like, but I have had some small issues with compatibility with monitoring tools. These were relatively easy to resolve but could be an issue for those without experienced team supporting them (I am very lucky in having that). Cost calculations are difficult in anything AWS related. You are charged in lots of small ways. Tiny amounts but they add up quickly. Very little is available to help you to optimise, so you need to remember you are paying for the hardware, and what you do with it is up to you. Migration is relatively slow. That is actually the one item I have not been overly happy with. Only had to migrate a production DB once so far, and was quite surprised at AWS not having a faster solution that what we came up with ourselves. It is a common enough issue which they could surely address. That being said - as AWS seem to release a new product/service every day they may already have that solved. Don't do it without a systems expert and a good DBA. AWS offer you the platform, but you still need to 'build' your own systems. They are very bug, but they don't have everything right - you need to know enough to fill the gaps. Calculations of costs are hard so consider hiring an AWS expert to work that out for you when comparing against your current solution. The business problem for me has been the delivery of live systems to 8 million plus users ensuring permanent uptime and accurate and fast delivered data for those users. While not just RDS required to do this obviously, it is the RDS instances that are central to the data layer. The benefit I have realized is a resilient data layer, that has not gone down in about 2 years of running, what allowed us to scale up without any issues or downtime. It has reduced our spend (versus data centre rented and self managed servers). "Robust databases without the hassle of DB software"
Amazon's RDS services provide compatible access to a wide variety of databases, without the hassle of managing the actual database software, which has always been a pain. In addition to this, they provide several options for scaling performance and high availability that are comparable to very complex, difficult, and expensive enterprise configurations. Not much to dislike in these services - there are a few occasions where it makes sense to run the software yourself, but not many. Access to databases that our DBA team is not skilled in managing is a primary driver in using Amazon RDS. Beyond that, the ability to get enterprise-level scalability and resiliency without the cost is quite attractive. "Highly scalable database management in the cloud"
I don't like in Amazon RDS we don't have access to underlying machine directly but this does not prevent you to perform most of the DB administrative tasks. we are using Amazond RDS for our MYSQL database which are configured in clustered environment with fail over mechanism. Availability of our high performance database make sure 24/7 availability of our eCommerce platform. Our eCommerce platform provides our software for desktop and mobile platform to our customer across America and Europe. "AWS RDS for Database Simplicity"
The best features of the AWS RDS are the automatic installation and patching, automated backups of the database, and optional high-availability replication and read-replicas. A DBA no longer needs to spend countless hours reviewing and tuning database parameters, patching, resolving OS inconsistencies, or working with a System Administrator to fine-tune the OS. The main drawbacks to using AWS RDS are not being able to utilize some of the advanced features of the database platform, fine-tuning of database parameters, and other options. A couple of PostgreSQL examples include not being able to install certain packages or not being able to use all of the procedural languages available for database development (e.g. Python). New releases or patches are not immediately available. Migrate from on-premise to RDS as soon as possible! We're able to get a database up and running in minutes, instead of days. No need to procure HW, install and configure the OS, and install, patch, and configure the Database software. "Fast, easy databases, limited control." ...except when you want to do anything custom or outside simple use cases. Admin controls are a bit difficult, and getting a true sense of what's on the box can be challenging at times because you have to work within RDS's management limitations. Take the bad with the good; it's worth it. Needed a database for sundry projects; RDS is a great way to get started. "DB as a Service from AWS"
Amazon RDS is completely managed, and it enables us to get started without much prior knowledge of setting up DBs. Even though it can manage everything for you, at the same time, it allows a certain level of customisation and advance tweaking that DB administrators can take advantage of. It automates backups and geographical replication which is a huge plus point. I had faced some performance issues while using amazon RDS. Although AWS claims that it is more performant that a simple MySQL EC2 instance, it my case it was the opposite. CPU usage and no of DB connections were always very high while using RDS and it couldn't handle the load. In my EC2 sql instance this was not an issue. I will suggest that before considering RDS, try running your own SQL server. It might be cheaper and more performant, but will take a bit of time to setup and manage. The primary reason while I would switch to RDS is when I don't have a dedicated DB administrator. It is very easy to setup and scale, and AWS has made it possible for anyone to do it without much DB management experience. It will be advisable to validate both RDS and MySQL EC2 instance and figure which works out perfectly for you. Over the long run it is always good to host it on your own EC2 instance, as it will help out a lot once the product starts to scale. * The freedom to choose what type of db you need. We are using MySQL, SQL, and Aurora. * The ease of using RDS. Never need to maintain it. * Security. When the MySQL RDS is launched within a VPC, it's a lot more secure. But it's both a pro and a con (see below). * No support for older versions. Some of our legacy projects use older MySQL and SQL versions which RDS does not support. * Sometimes its security measures make things more complicated. Particularly in dev, we from time to time need to access RDS in VPC directly or query from another VPC. A lot of things to configure if that happens. And we put ourselves into another related trouble - in order to create a set of "structured" security group rules, our security groups especially RDS SGs are unnecessarily complicated. AWS RDS is like a no-brainer for you. We need a low-cost, versatile database solution for our 10-years-old, 5-years-old, and current products. RDS is really versatile to meet our 80% needs (no MangoDB though). "Your Database In the Cloud"
Easy to use and manage by console and also by command line. Easy health monitoring, and connects well in with the other Amazon Web Services products. Enables you to easily upgrade an instance without impacting the database data. It's expensive. Amazon heavily pushes Aurora over MYSQL which isn't always the best solution in real world tests. Perform a cost calculation prior to starting to use Amazon RDS so you are across how much you will spend on a monthly basis. Consider the region in which you need your databases in. RDS is used to manage two relational databases for the website that I manage. It is used to provide automatic and manual snapshots (effectively backups) and also to provide a near real tiime mirror to Domo our business analytics platform. "An excellent alternative to MsSql & MySql with extra benefits"
RDS is one of the best services provided by RDS, and the service that I most recommend to my clients, and anyone else that asks. While RDS provides a very easy Database service to configure and manage, it has other benefits that help your overall site. Database servers are a large consumer of memory and processing capabilities, which are precious when using an EC2 server, being charged by use. Off-loading my MySql server to RDS allowed me to run my entire WordPress site (with MANY plugins) on a Micro server, which is in the Free-Tier, enabling me to literally lower my costs to $0 for EC2 while speeding up my site, and enabling me to have the ability to add more capabilities to my site with no additional EC2 instance upgrade costs. I don't have any dislikes as far as RDS goes, in fact, I love the service as you can tell. If I could have a capability added, it would be nice to be able to work with the database from the Linux command line instead of having to change windows, and for all I know, this might even be a feature provided by the AWS command line, but it does take a bit to get use to if you have been working on Linux servers running MySQL locally. That is the only possible complaint I can find, and I had dig for that. This solves EC2 costs and increases the Processing & Memory capabilities I can utilize, allowing me to have a much more impressive and functional site for less costs. "Maintaining our database in the cloud"
Only thing I dislike about it is : its not an open source , its paid service. "little hard to understand initially"
Once implemented, it is very easy to use this for storing and accessing data. I was trying to create a relatively large database and RDS was very useful for this. It was highly scaleable and changing the settings was very easy. The settings can be easily changed whenever needed. The initial implementation involved a lot of steps and switching between different services to setup RDS service was very confusing. The instance creation also took considerably longer when compared to other services. But that might be because I chose a free API. Might need a little training before one can start using this product. The person doing the initial setup might need training for other services as well. storing relational data on the cloud and reduce the interruptions. It was very easy to store and access data from multiple locations. "RDS: Easy Postgres Integration with independent ec2 instances & terraform!" I'm a N00B when it comes to RDS, I have experience and use with AWS EC2 , but moving our servers to the cloud means we should port our databases to a scalable, reliable, replicative place too. I was intimidated, but RDS was an esy-peasy integration and I was able to spine up a secure postgres RDS and integrate with a EC2 flask server all with terraform within a day! It is intuitive ,fairly good documentation, and its almost hands-off! No worries aout our internal database crudding out! AWS RDS handles most of the infrastructure management, works well with Postgres (and with sql, mysql, etc! ), seamless with Flask (I'll try Django next!) and terraform, secure, available, replicable, scalable, restorable, easy personal configuration, easy API, and HEY (the manager lies this one..), cost effective! I tend to go to boto for better api documentation and I tend to find the spinning up can be a bit slow. Sometimes it gets hard to manage IAM roles and the s3 bucketing logging can be tricky to figure out. The CLI is sometimes updating so quickly it is hard to keep up and realize you're behind! Look at your needs and just try it out! ask questions, read the docs, and do a trial - you'll appreciate it. As noted, we need something that is cost effective, secure, available, replicative, restorable, RELIABLE, and easy! "Simple Cloud Databases with Few Headaches"
We love being able to create new databases on the fly and more so making sure they are replicated to prevent data loss. Backing up and copying databases is simple and making configuration changes is pretty simple as well. Scalability has been another great key to our success with RDS. We've been able to seamlessly bump our instances size up as our traffic on our web application has grown. Learning the AWS environment as a whole takes some time and finding things in their control panels can take some time. It does take a fair amount of reading the AWS docs and forums to find solutions to certain AWS specific issues. Depending on your configuration of your VPC and security group settings you may also find it hard to get your data out of RDS easily. One last thing I've found is that default settings for MySQL can cause application issues and making the tweaks can be a bit of trial and error. Once its up and running you are good to go though. If you are going on the AWS platform then I would recommend RDS over self-hosting MySQL or other database solutions on an EC2 instances. Way more flexible and isolated. Cloud databases in a VPC infrastructure. We were concerned with uptime, scalability, reliability and data retention and we've solved all of these things with amazon RDS. As mentioned before being able to scale our memory and storage needs on the fly has been helpful as we've onboarded additional customers on our web application. We've had very little downtime on AWS as a whole and no real database impact during our usage of Amazon RDS. Amazon RDS was really easy to set up and we saved a ton of administrative costs. We did very little to set up our production relational database. With the RDS API calls it was easy to take required actions for development and deployment our database services. Also scaling up with RDS is relatively easy than other DBaaS providers. Nothing that I can think of. I would not use RDS if scaling my db was out of scope. There are other dedicated servers that can be cheaper than using RDS. For low traffic applications, use of RDS should be free. This way you might increase your customer base and profit when they scale. Amazon RDS made scaling look so easy. Just with few API calls and mouse clicks database will be scaled up or down with no time. As I mentioned earlier we saved good amount of administration costs. "Fully Managed Database Service By Amazon"
Amazon RDS is a fully Managed Database service by Amazon. You can choose any type of DBMS to use with RDS. Its work on pay as you use, so will be only charged for resources which you will be using. By Adjusting you CPU and Memory requirements you can save a lot of money. You can scale up and Scale down resources to meet your needs. By default all RDS works on UTC timezone, you will be need to manually change it,using Amazon Console. It provides all kind of database services from MySQL to PostgreSQL to MongoDB, all works with RDS. "One of the Best Databases in the Cloud"
The ease of setting up a database and get it running quickly. A lot of planning is desirable before selecting an RDS. Things to look at are multi region availability, ease of backups, ease of scale. We use it as a native database. The benefits are no hardware, os, licenses to bother with and availability in different regions. "Much better than self-hosting a database"
Ease of backup, ease of spinning up a new instance, ease of upgrading versions. Hard to understand UI, lags somewhat behind Postgres master on new versions, performance graphs are somewhat lacking. Consider using Aurora instead because it's like RDS but better. We use it to host our Postgres database without having to worry about managing our own server or dealing with all of the Postgres configs, backup, security, etc. "RDS is the best database hosted solution." Amazon RDS is a hosted database solution where amazon hosts the database, maintains it, patches it, and keeps it up and running. You then buy some storage on that hosted server and pay amazon for it. 1. Obviously cost. I pay like $10 per month for a 5 GB storage of MySQL. 2. No maintenance. My DB is always up and running. Just image what horrible problems I would have had to face on top of the amount of work I do daily if I had an in-house solution. 3. Its scalable. This is the single biggest benefit of RDS. Full of space, just extend the storage. The good part is, you just clicked a few buttons and you are done. I don't even know how they do sharding and whole other stuffs. That is amazon's problem. 4. My servers are all up in cloud, perfectly secure and safe. Otherwise I had to hire another engineer just to configure my firewalls and networks. So a hosted solution does not ask me to also pay for their routers and security. Its all inclusive. I would also tell you why specifically Amazon is best when there are other players in the market such as Heroku. Its because you AWS provides 400 other features in parallel with RDS. You get elastic balancing, SQS, EC2, etc. RDS just plays nice with all other services. However, if you go to other cloud DB provider, these technologies would still work for you, but you would have to handle the association in your application. That is just not worth my time, and would not gain me anything financially. Many times I also need to have several instances of database for testing and stuff, and frankly I was afraid that it would cost me much. But then I learned that RDS is billed hourly. So I do spawn several databases, do my work, and shut them down. It costs me like $5 max. If you are still not persuaded, maybe this last point will do the trick. I intend to make my business available worldwide. Naturally if a server is sitting in USA, and the client is in China, the latency would be too high. And if you have multiple database queries per request, the latency can be up to 5-8 seconds. This is bad for business. With RDS, they have data centers all over the world, and I personally keep a database in every region and keep them synced. This also is a neat trick for data redundancy. PS: They recently launched Amazon Aurora which is 10x times faster than MySQL. I myself will switch to it soon. 1. The cost can quickly escalate depending on your traffic and the rate at which you access your severs. If are querying your DB 24*7 at high rate, the IO cost will be high. So, see the prices before you make a decision. 2. The place from where you query the database matters. A million queries withing the same AWS region would not cost you much, but the same scenario for different regions will cost you a ton. So make sure you are in same region. 3. It just makes sense for anybody to move to Amazon aurora because of the speed. But they do not provide Aurora for small businesses. You are forced to buy a mammoth machine that you frankly don't need. I hope they will launch Aurora soon in smaller configurations. 4. Redundancy cost will multiply. This is real caveat. If I want to have 2 redundant databases, I will have to separately pay for them. But these databases are not being used in the frequency as the first one. I would like a cheaper solution where RDS offers atleast one redundant DB out of the box. If not that, then atleast have the option to backup the data in Glacier storage so that the downtime can max be of 5-6 hours and will be cost effective than paying for two or more DB. 5. They can definitely do a better job to allow to remotely connect to my database. I currently have to login in the terminal and see the results. I am used to viewing data in some software like workbench. I would love to see them have a database view layer. 1. Want to have your DB in cloud? 2. Want to do less maintenance work? 3. Want the server to be secure from hacking? 4. Want to pay less? If yes, just go with RDS. Its worth it. I run a website which allows vendors to sell some items to their customers. Use of database is at the core of my application. I do thousands of queries per minute (which is not enough by any standards, but as my app will grow, so will the query rate). With such an intensive use of database, we want several things out of the box such as security, redundancy, and scalability. RDS offers a consolidated solution to all above stated problems in an elegant and cost effective way. 1. Had I not been using RDS, I would have to install Linux on some other server, so that would take atleast 30 min. Then I would have patched it (another 1 hour). Then I would install DB in it and install the schema (another 15 min). Then I would set firewall rules and connect this machine to my network (another 20 min). With RDS, I just do the third step (15 min). 2. Defining security rules is a breeze as opposed to setting firewall rules. 3. Access to RDS is automatically controlled by IAM roles. 4. THEY HAVE EVENTS. This makes my life so much easier. I use the events model with server push technique to deliver dynamic contents to my site. "Its very convenient for a quick installation and project initiation"
I love how you can set up an RDS server in seconds and use the same user groups, security groups and even vpc settings as the app servers. It helps us avoid so much of the inter server communication troubleshooting at the beginning of a project. Helps us get off the ground much quicker. I am not fond of the way RDS forces me to use certain settings with ways to configure them hidden away in an obscure manner. It also defaults to a scalable server without explicitly stating the payment options for different servers and different plans. I like that its scalable but the scalable versions cost a lot more than the servers that you can accurately estimate usage and have a static upper limit on usage. Be careful about evaluating your needs for scalability and projected usage. If you have larger sets of data or something that needs realtime interaction, this might not be the highest on your list of options. We're building small applications to interface with our users and datasets to help them coordinate and create value for our clients. "A great option for MySQL if you're already on AWS "
I like that Amazon autonomously maintains the environment for me as a DBaaS. I'm a programmer that enjoys infrastructure, but I have found that when I'm left to maintain the environment, things can often become unstable because of oversights. I highly recommend RDS for anybody already using Amazon EC2s or other resources that need DB access. One big advantage of the RDS is that by default the firewall is configured to not let in any traffic if set to not be publicly accessible. You can configure your security groups to restrict incoming and outgoing traffic to other AWS resources in the same VPC. This obviously makes things very secure, but you also can house your RDS instance in the same data center/region as your EC2 instance for low latency as well. I had to do some Googling when setting up my first MySQL DB inside of the RDS instance because of an additional security parameter that needed to be added. There was a missing privilege on the root System Administrator allowing the SA to create objects (obviously something that needs to be done). The concept of VPC and security groups has a small learning curve, but after that you realize how beneficial it is to having a secure overall system architecture. I host an e-commerce website in Elastic Beanstalk (AWS EC2), and need a MySQL DB as well so I leveraged a AWS RDS instance. It is always wise to have a system architecture that scales out and with Elastic Beanstalk it is very easy to do this. Because my E.B. instances belong to the same security group as RDS, all of them will have exclusive access to query the RDS instance. I feel as if this is a very secure approach to transmitting data between the Application and DB servers. In the future, if I ever do hit a bottle neck at the DB layer, I can scale out by replicating DBs and RDS should allow me to do this without much headache. - I like the simplicity of the product. RDBMS can be brought up and purged on-demand. Traditional DBMS have a great deal of maintenance including configuring, networking and storage management. - Integrates well with other AWS products like EC2 and S3. - Great security with options like VPC and security groups. - Inbuilt alerting around db critical functionalities. - powerful instances are little bit expensive. - good to have autoscaling. Great choice for hosting RDS in a cloud. Almost zero configuration. I use it to primarily host my shared database mysql server. This along with S3 can make analytics very simple. Hive metastore runs on mysql RDS hosted at AWS. "RDS is a solid option "
RDS takes care of many of the administrative tasks required for using an RDBMS allowing teams to focus their energies on delivering features and capabilities needed by our users. It also is extremely easy to standup a new environment to experiment which improves agility signifcantly. The speed around snapshots / restores can be a real challenge for cases where you need to have some determinism. We are migrating all of our on prem applications to the cloud. Many of these applications are traditional 3 tier OLTP applications depending on relational databases. We made a decision early on in our journey that we wanted to minimize the amount of infrastructure we would need to manage/administer. RDS allows us to realize that goal for our needs. "RDS - Easy to setup and run"
The best part is simple to setup and run. You can scale up as and when traffic on your website increases by adding another replica. The awesome feature i like is Automatic Backups of database at regular intervals so you can have a copy of database when needed. You also get cloudwatch monitoring in place which gives you database performance. We also have Cloudwatch alarms so that we get notified in case we are running high on CPU, data storage etc. Support during the transition from AWS team was great. It just works! The pricing aspect which increases as you scale up. Migration may be another aspect which one may need to look into while considering this. We used Amazon RDS as part of moving our Infrastructure to cloud. We moved to Amazon RDS replacing SQL Server. "Great tool for hosted databases"
Makes hosting a relational database super easy, offering automatic backup, scalability and redundancy. There is no better way to run SQL database in the cloud. It takes way to long for a new RDS to be ready after provisioning, but that's a small price to pay for what you get in this service. Just make sure that your automation provisions your RDS database before anything else, because you may have a long time to wait before your scripts can move on. Make sure that a relational database is really what you need. You can save cost and operate faster against a NoSQL database with most data types. We need to run Postgres in AWS, and RDS is the only option that makes any sense ar all for our use-case. We have no need for a full-time DBA who has the expertise to manage automatic backup and redundant operation because Amazon handles all of that for us in RDS. "Better than using an ec2 instance"
It's a database that I don' thave to mess with, so that makes one less thing that i Need to worry about. "RDS is a very good scalable, managed solution to Datawarehouse that Amazon manges the hard work. " Selection of databases that maintains a company's previously invested knowledge and abilities. Removes the planning and worry of scaling your database horizontally and avoids a necessity to vertical scaling of the hardware. Outside of Amazon AWS this is very difficult to do. I like RDS because it removes a lot of the admin tasks involved with running your own in-house servers. Jump in - the water is very warm ! Less work needed to maintain the database - enables resources to be used to store and maintain multiple copies and more than one database, MySQL and Redshift databases - using the same resources. Amazon Relational Database is a great tool to use. It makes easy to setup operate and access the relational database on cloud. Amazon web service is great platform on cloud and everyone prefer to use it around the globe from students to corporate world. Every time they keep on integrating new technologies and tools into AWS and RDS is one of the great tool in it. Using RDS is very fast, secure and it is inexpensive.It is available any where as it is on cloud, so we can get the data any time anywhere around the globe. We can scale the database easily. And most important available any where anytime. It has automated back up features, database snapshots and automatic host replacement features which are very useful. It is easy to administrate. So overall AWS RDS is a great tool to use . Not such specific to RDS. So I don't have any specific thing to RDS which I don't like. Its a good tool try giving a shot. As it is inexpensive as well. No infrastructure needed as everything is on cloud. We can access the database in second with the help of API calls. We are using this tool to make the task and relational database access easy without maintaining any servers onboard in companies. We are making the task easy for developers by using RDS. As it is easy to administrate, easily scalable, Accessible and available and durable. "A managed Relational Database Service"
Its Scalability and Simplicity is just awesome. you just need to choose some fields and you are good to go. I did not feel any till now, as it is highly scalable secure. We are using RDS Servives since last 2 yrs and really we did not get any problem. It is really very easy to use and setup. We are using to store users data which we are getting from end users. As we are a small team, we did not have to think much about setting up a highly scalable db instance. "Used Amazon RDS for my final project as part of Cloud Computing course"
Scalable capacity without any downtime is one of the best features of the server. Also, the server running the DB is different than your web server, so the hassle of upgrading AWS RDS affecting your web server doesn't exist. "Review about Amazon RDS "
The product is simple and intuitive to use. It doesn't have the learning curve that traditional relational database services have that require a lot of configuring. It makes hosting a relational database very easy due to the tools already built in, like automated backups. I also like the security options that it includes. It is rather costly so not a good tool to implement for a small business. It is good for a company that can afford it but the price to performance ratio is rather high. We use MS SQL database to store a massive amount of data. We use the database very intensively and run hundreds of thousands of queries daily, so Amazon RDS is very good for our scaling needs. The performance is great. Upgrading MySQL versions and increasing storage space are made simple and non-invasive. You can configure automated snapshots of your database for restore or migration. Initially the storage limit was 2TB, so we were looking to be forced to upgrade to Aurora soon, but that limit has since been increased further. We'll still move to Aurora but we can manage that process further down the line. Ease of management and hands-free upgrades including growing our storage size. "RDS is Database for the Cloud"
It's literally managed database in the cloud. I like the fact that it abstracts stuff enough that I don't have to micromanage configurations, but it is powerful enough that you can change what you need. Nothing really. I think Aurora has largely superseded pure RDS in terms of performance. Look at all their database offerings, including Aurora. Multi-AZ, backups, etc are all much easier to do in the cloud. * We monitor all Amazon Relational Database Service (RDS) reviews to prevent fraudulent reviews and keep review quality high. We do not post reviews by company employees or direct competitors. Validated reviews require the user to submit a screenshot of the product containing their user ID, in order to verify a user is an actual user of the product. Hi there! Are you looking to implement a solution like Amazon Relational Database Service (RDS)?